Hana Mazur races to a first-place finish in the 3,200 meters on Saturday, April 30. Emily Monson clears 4 feet, 4.00 inches for fifth place at the Bob Shaffer Track Classic. 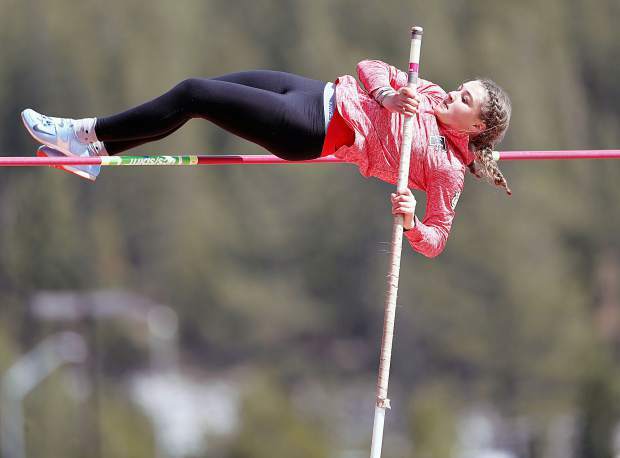 Truckee’s Natalie Lang-Ree clears 9 feet, 6.00 inches to win pole vault at the inaugural Bob Shaffer Track Classic on Saturday, April 28. 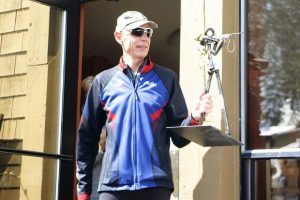 By all accounts it was the biggest track and field meet the town of Truckee has ever seen. 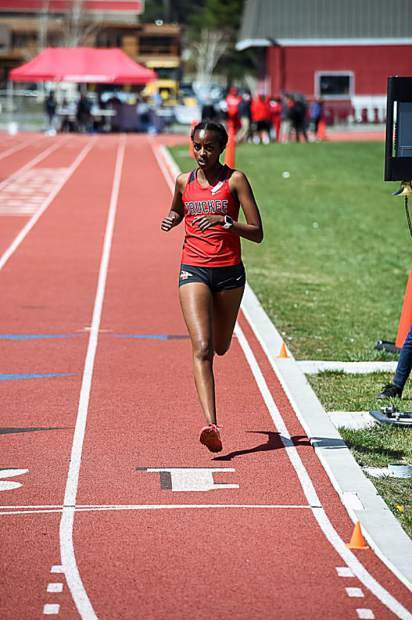 Roughly 500 athletes representing 16 teams made the trip to compete in a unique, braving elevation and chilly conditions on Saturday, April 28, at the inaugural Bob Shaffer Track Classic. 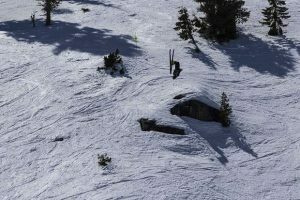 The Wolverines hosted several Class 3A rivals, a handful of larger Class 4A schools, teams from California, and also some Class 2A and 1A schools, including North Tahoe. With mostly deep fields of athletes in each event, only a few Wolverines were able to climb the podium as first-place finishers. Freshman Hana Mazur took first place in the 3,200 meters with a time of 12 minutes, 54.30 seconds. 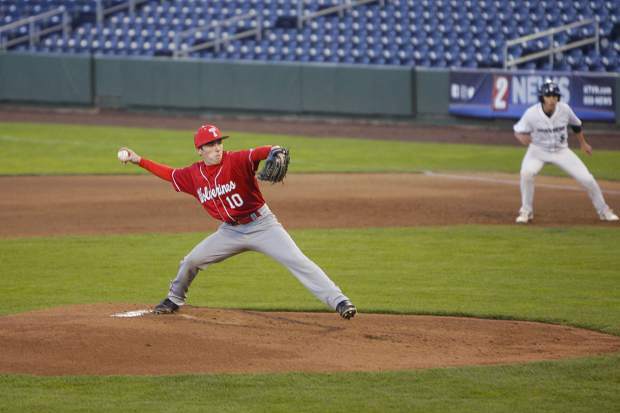 “That was really impressive to see,” said Yale on Mazur’s performance. In pole vault, sophomore Natalie Lang-Ree also captured first place, clearing 9 feet, 6.00 inches. Freshman Lauren Tanner would also bring the team a victory, taking first place in the 800 meters with a time of 2:29.69. Tanner came from third place to pass the race leader during the final 50 meters to capture the win. Tanner was also third in the 400 meters with a time of 1:03.80. Sophomore teammate, Britta Winans, was second in the 400 with a time of 1:03.38. 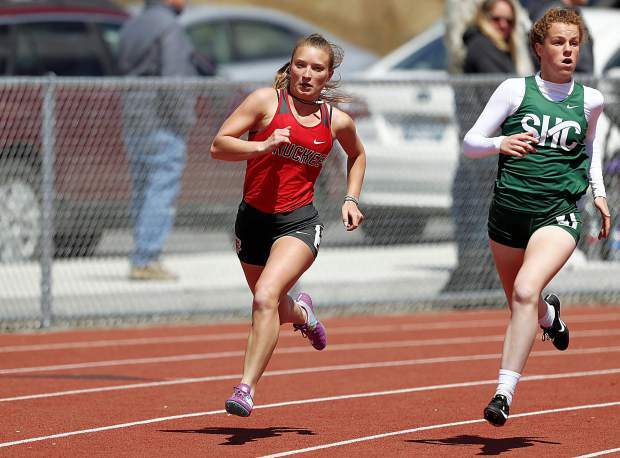 The girls also saw standout performances in the track events from junior Zoe Brunings, who finished third in the 100 meters with at time of 13.51, freshman Amelia Swanson with a fifth in the 1,600 at a personal record time of 5:50.21, and senior Olivia Koster with a pair of fourth places in the 100- and 300-meter hurdles. 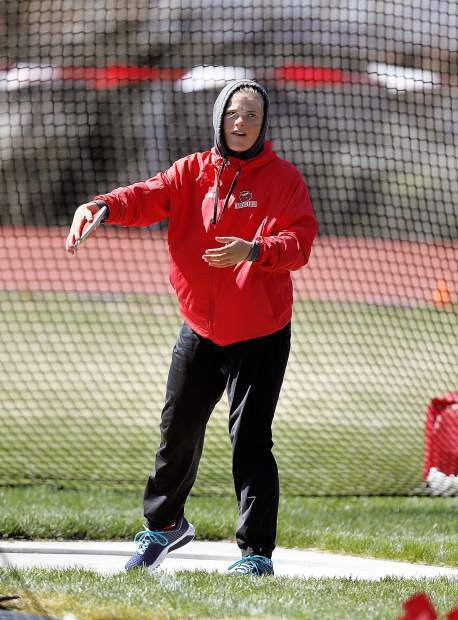 In the field events, the Wolverines had fifth place finishes from sophomore Emily Monson in high jump (4 feet, 4.00 inches), and senior Abby Baier in long jump (15 feet, 2.25 inches) and triple jump (31 feet, 7.25 inches). The girls relay squads were also strong in the relay events. Tanner, Alia Sinoff, Deanna Sunnergren, and Elizabeth Morgan combined to run the second fastest 4×400 meter time in the Class 3A Northern League thus far, finishing the race with a time of 4:16.53 for second place. The crew of Brunings, Koster, Winans, and Sinoff ran to the Northern League’s second fastest 4×100 meter relay time, crossing the line in 51.98 for third place. Truckee’s 4×800 meter relay team of Sunnergren, Swanson, Samantha Olsen, and Mazur finished second in the event with a time of 10:35.99. On the boys’ side, junior Calin Laine led the way with a second-place finish in the 3,200 meters with a time of 10:37.21. Laine was also fourth in the 1,600 meters with a time of 4:53.33. Junior Nick Rae led the Wolverines in the field evens with a personal record leap of 10 feet, 6.00 inches to finish fourth in pole vault. The mark is tied for the fourth best in the Northern League thus far. Senior Dominic Acevedo also cracked to the top five in discus with a throw of 112 feet, 3.00 inches for fifth place. Truckee’s Marcus Trotter, Kevin Malo, Rae, and Cole Eichele combined to claim fifth in the 4×200 meter relay with a time of 1:37.44. The Wolverines also took second in the 4×100 meter relay with a time of 49.16. 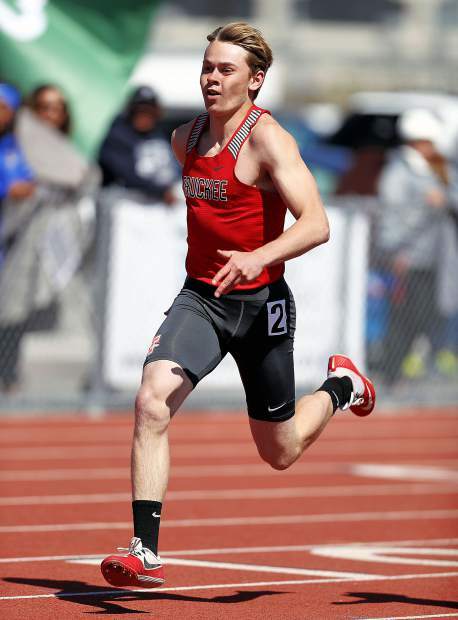 The meet also featured a 4×100 meter coed relay, which was won by Churchill County with Truckee coming in second. The Wolverines will next travel to Nevada Union, Calif., for the Kay’s Ostrom Invitational on Friday, May 4. 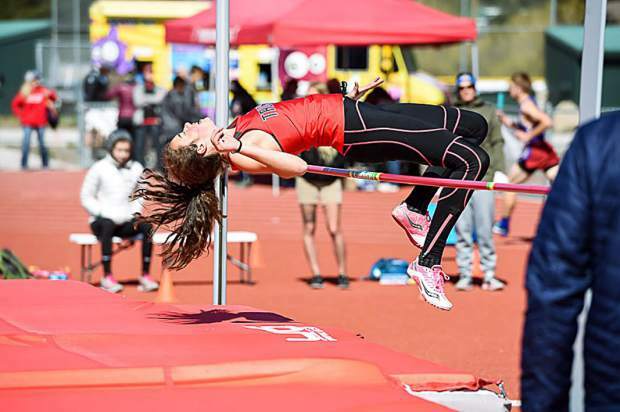 The meet will be the team’s last before the Nevada Interscholastic Activities Association Northern 3A Regionals on Friday, May 11 at Yerington High School. 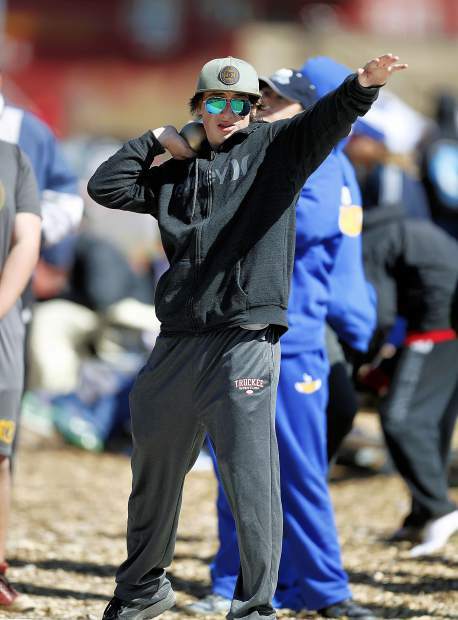 Juniors Joe Pierce and Corey Joslin led the North Tahoe boys during the meet in Truckee. Pierce raced to a personal record in the 400 meters with a time of 53.10 for fourth place. The time is the second fastest in the Class 2A Northern League thus far. Pierce also took eighth in the 200 meters with a time of 24.22. Hacker also brought the Lakers a fourth-place finish, crossing the line in the 800 meters with a time of 2:10.34. 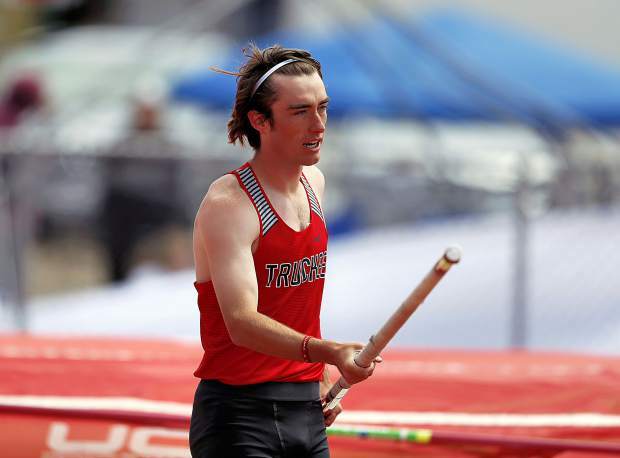 Junior Corey Joslin was the only other North Tahoe athlete to finish in the top five. Joslin took fifth in the 3,200 meters with a time of 11:01.30. Junior Ella Carr led the Lady Lakers with a sixth-place finish in the 1,600 meters, finishing the race with a time of 5:52.69 for a season record. 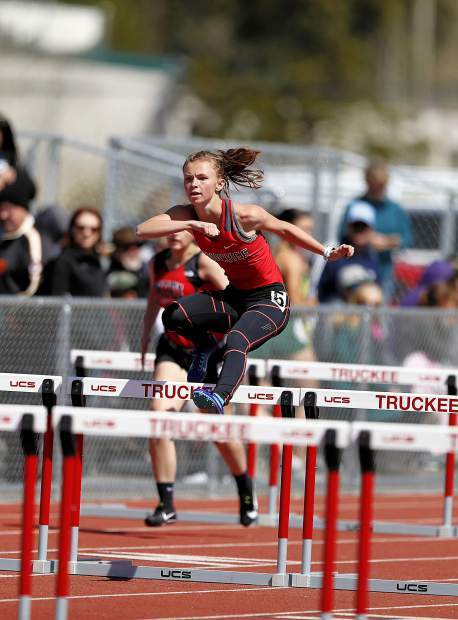 North Tahoe will join Truckee at the Kay’s Ostrom Invitational on Friday, May 4. The team will then compete at the Class 2A regionals in Yerington the following week.